Strengthen transverse pipe plugging bag made of reinforced natural rubber, each a strengthening transverse pipe plugging bag before the delivery, will be in the 1.5 times the rated working pressure and the corresponding models of diameter was tested under conditions of. In order to ensure enhanced horizontal pipe plugging bag structure strength, we used three times rated working pressure tube sealing device of safety coefficient. Strengthen transverse pipe plugging bag particularly adapted for drainage pipeline sealed to close the water test, gas test, leakage, pipeline repair for temporary plugging and maintenance test. In 1, straight pipe, contact area more, water plugging effect is very good. 2, simple operation, light weight, small size, economic and practical ontology. 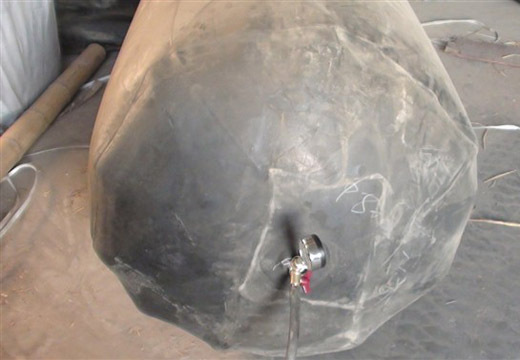 In 3, the airbag can be freely bent 180 degrees, and certain corrosion resistance.